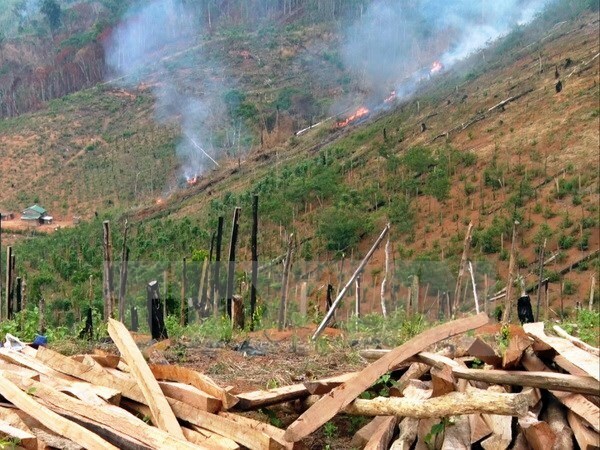 Hanoi (VNA) – Prime Minister Nguyen Xuan Phuc has assigned the Ministry of Agriculture and Rural Development to coordinate with other ministries and localities to strengthen the inspection and handling of violations related to natural forest destruction nationwide. Recently, the Thanh Tra (Inspection) newspaper reported that the Ba Be National Park in the northern province of Bac Kan has been protected by various forces, but many rare iron-wood trees there had been cut down. Especially, a number of trees were chopped down right within the areas managed by the Ba Be district’s Police Department and Military Headquarters.